← See the world on less than three hours of sleep a day! 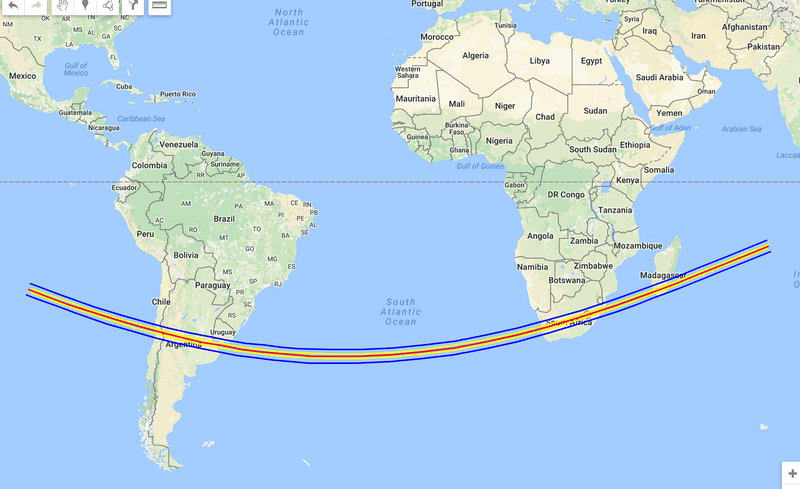 The occultation path, global scale. 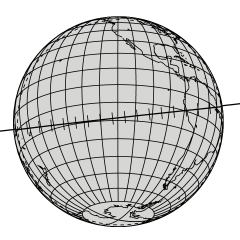 Shadow moves from east to west at 24 km/sec. 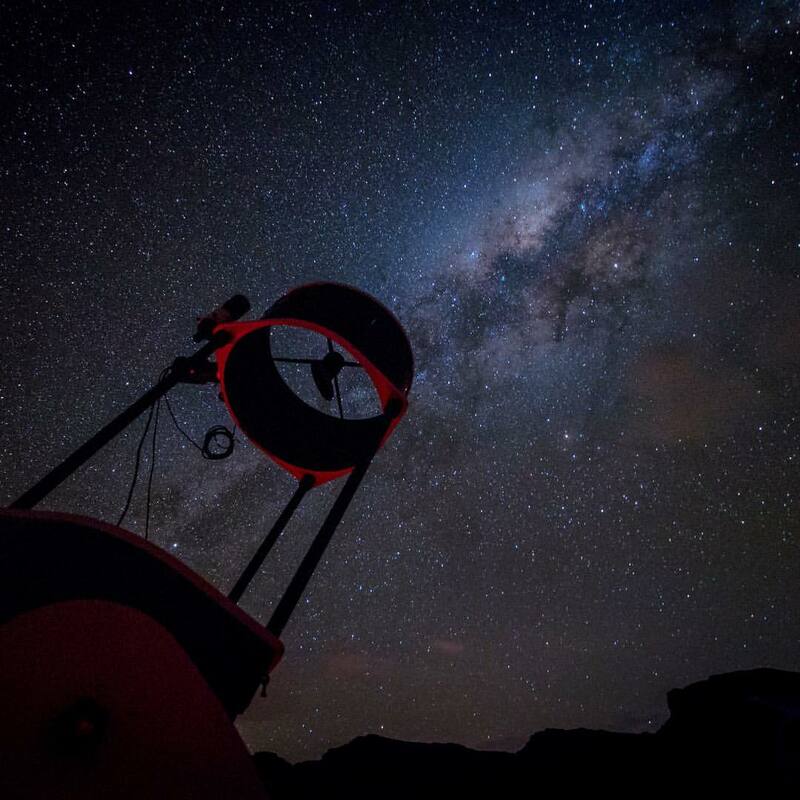 Last month I was part of a big observing campaign to catch an occultation of 2014MU69. It was an adventure on many different levels and the whole process was fascinating (not always fun, but certainly fascinating). Detailed calculations were carried out to predict where the shadow of this tiny chunk of ice would sweep across the earth. Dozens of telescopes in those regions watched carefully for a faint star in Sagittarius to blink out for a second or two and then reappear. This was enormously challenging on many levels from technical to logistical to personal, but that is a story I’ve already told. Immediately afterwards, everyone wanted to know “the answer”. Who caught the occultation? How big is MU69? Several people did quick scans through their datasets but didn’t turn up anything (which is not surprising; as I’ve said, this is subtle and hard). It’s a huge quantity of data and careful had to be done. No one wanted to release a preliminary result only to have it rescinded after a subsequent analysis. For a month, radio silence reigned, even amongst those of us involved in the project but outside the core team (the people who are paid to do this sort of thing). The answer is finally revealed! Despite the logistical, weather, and equipment challenges, all the telescopes collected data data during the June 3rd occultation. None of these 26 portable telescopes or the handful of fixed observatory’s data show an unambiguous occultation detection. We didn’t see it! The initial reaction from the public, and indeed many of us in the community, has been one of frustration and disappointment but I’m here to correct that attitude. Not seeing what you’re expecting is usually more interesting than seeing it would have been. Null results are an important part of science (albeit one that doesn’t normally collect the public’s attention). Many of the biggest discoveries in science came about when we didn’t see what we expected. Dark Energy is a classic example, but there are many more. The sound of science is not “Eureka!”; it’s “well that’s weird!”. So, we didn’t see it. What does that mean? Keep in mind that I am not an expert on these things, but there are a couple of interpretations. I’ll put them here in increasing order of interestingness. #1 – The math was wrong. #2 – It’s a lot shinier than we expected. 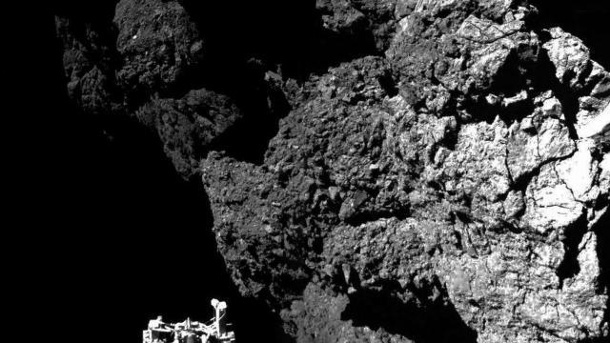 Up-close on the very dark surface of comet 67P. Recall that the only things we know about MU69 are its orbit and its brightness in absolute terms. We infer a size (20-40 km diameter) by using the distance, and the observed brightness and an assumed albedo (reflectivity, what fraction of sunlight reflects from its surface). Solar system objects come in a wide range of albedos from shiny white objects like Venus or Earth’s clouds and ice (about 70%) to coal black objects which reflect only a percent or two of the light that reaches them. Solar wind and cosmic rays darken material over time, so bright surfaces (Europa, Enceladus, Sputnik Planum on Pluto) are signs of very recent geological activity. Comet nuclei, thought to be similar to the assumed-pristine objects from the dawn of time in the Kuiper Belt, are black as coal. Assuming that MU69 is very dark (and hence large) doesn’t seem like a stretch. However, maybe it’s a lot shinier than we thought. This would make the size a lot smaller than we thought and maybe, just maybe, it’s small enough that its shadow could slip undetected through the “picket fence” of our telescopes. 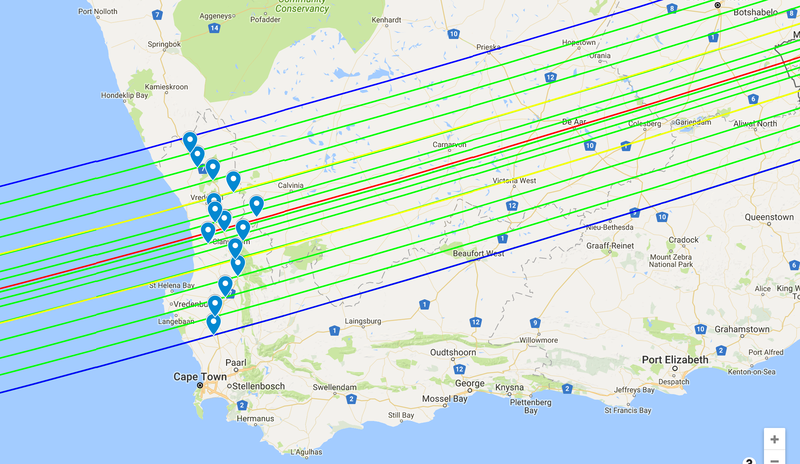 Our telescopes were set up on approximately a 10km spacing. Or maybe MU69 is very long and skinny (it’s small enough it doesn’t need to be a sphere like larger objects) and happened to be oriented such that it slipped through. Maybe it was a little bigger than the fence spacing but the shadow only clipped one or two observing sites to the point where the 2 Hz cadence would see it in this low signal-to-noise data. #3 – MU69 is more than one object. The KBO 2001QW322 is a very widely-separated binary. MU69 might be like this as well; close enough that Hubble can’t even separate the two bodies, but far enough apart to produce shadows which missed our ground stations. Many asteroids and comets turn out to be binary objects; two chunks of rock and/or ice loosely bound together by gravity. Usually these objects are so close as to be touching each other, but there are already about ten wide-binary Kuiper Belt Objects known (albeit all of them much larger in size than MU69). In fact, it’s a bit of a mystery why so many of these binary objects exist because they should be pretty hard to make. So it’s entirely possible that MU69 is a pair (or more?) of small iceballs orbiting their common center of mass with a separation of hundreds or even thousands of kilometers. We were observing based on the center of mass, so it makes sense we wouldn’t have seen any occultation (if there wasn’t anything there). Instead, the shadows of the two objects passed north and south of our band of telescope. The purpose of science is to disprove theories, never prove them. Assuming that the math was correct, we’ve ruled out the hypothesis that MU69 is a single, large, dark object. It’s clearly something unexpected and hence interesting. So how do we address hypothesis #2 (that it’s small and shiny) or hypothesis #3 (that it’s a wide binary)? When New Horizons flies past MU69 in January of 2019, the nature of this object will become a lot more clear. However it would be very nice to have more of a clue in the nearer future. Two more occultations are happening in the coming days (July 10th and 17th). The first of these is of a very faint star near the full moon and the shadow passes mostly through the Amazon and the Pacific ocean; not optimal to observe from the ground. The SOFIA airborne observatory will be flying along the shadow track trying to catch the occultation with a large telescope from 40,000’ [edit: the point of the SOFIA infrared observations is actually to look for any small debris in the area which might pose a hazard to the spacecraft]. 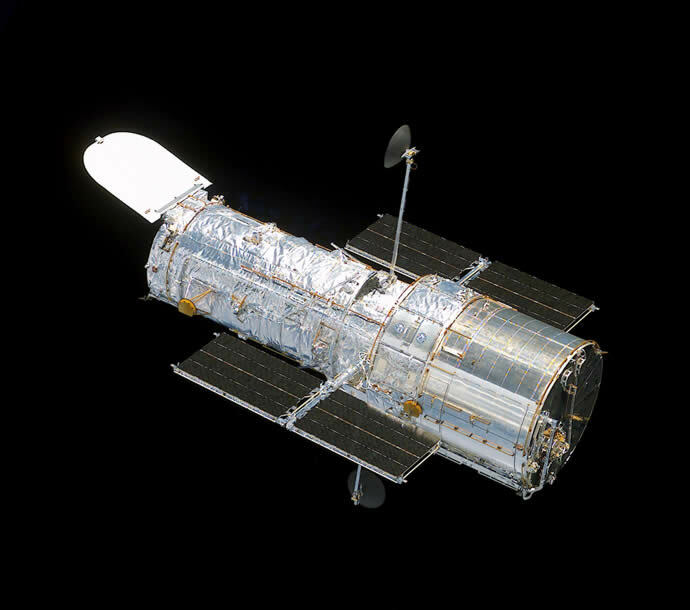 The Hubble Space Telescope, still the most awesomest telescope near the planet. In addition, the Hubble Space Telescope will be observing MU69 during the coming weeks to monitor brightness over time. Looking at light curves like this is how we determine the rotation period of asteroids and other objects. Even Hubble can’t resolve two separate bodies separated by a few hundred kilometers, but if the light curve shows two periods, that’s a strong clue that it’s a binary object. Why is it called “MU69”? It’s kind of uninspiring as a name goes, but 2014MU69 has to do with the date and order it was discovered. The details don’t matter. However, it WILL be renamed with something less boring in the next year or so. By the time New Horizons flies past in 2019, MU69 will have been renamed. There is a naming convention, and for cold classical KBOs like this, they are generally named after a creation deity in one mythology or another (real or fictional, as it turns out). My time with the #MU69occ project is over. This isn’t what I do professionally, and, as my wife puts it, “you have a real job”. I look forward to finding out unexpected nuggets of truth about MU69 over the next few weeks (optimistically) or years (more conservatively). This whole experience has taught me the importance of good management and strong leadership as well as the necessities of flexibility and stepping up to fill roles and do what needs to be done. 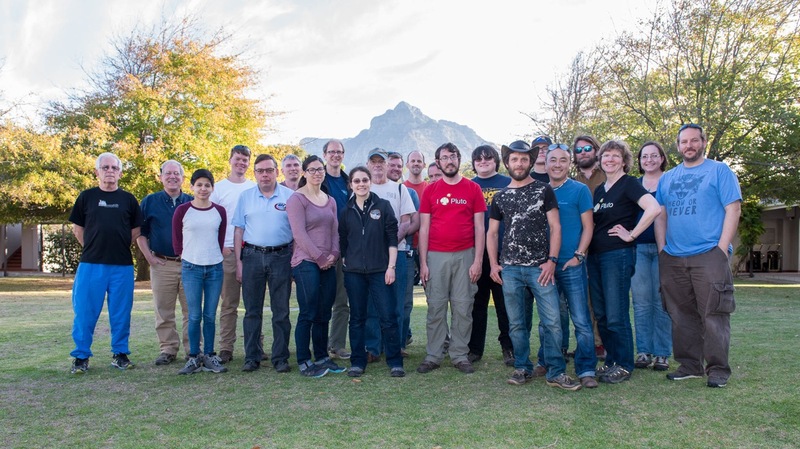 It was a privilege and adventure to be part of the observing team and working closely with such a knowledgable, dedicated, and motley crew. Thanks for reading! Over and out. 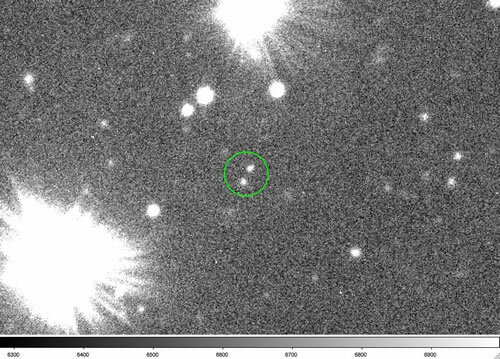 This entry was posted in astronomy, exploration, sedentary and tagged 2014mu69, albedo, astronomy, binary, non-detection, orbit, results, south africa. Bookmark the permalink. Thanks for the update. Hopefully SOPHIA and the Patagonia crew will be able to give the New Horizon’s mission enough info to get it right. 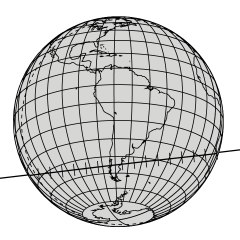 – What was the full width of the ‘fences’ in Argentina and South Africa perpendicular to the shadow track? And were the telescopes located at equal distances across the track or clustered more towards its expected central line? – What was the formal lateral error of the predicted track and how much did the Gaia-provided star position and the knowledge of the KBO’s orbit from HST (and other?) astrometry contribute? – Assuming the binary explanation, what would be the maximum spacing of the two bodies contributing to the dot the HST sees before that would appear elongated? Finally, from many past occultation campaigns (I was personally involved in two, for main belt asteroids, both successful in that my team recorded a chord) the experience shows that non-detections are usually due to the shadow having shifted laterally just a width or two because of some hidden systematics. Having more – independent! – observers farther ‘off’ is of great help to figure this out. Happy to tell you what I know, but please email me off-line and we can talk about this. 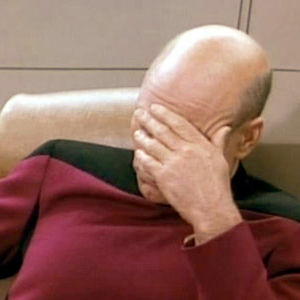 I don’t like dealing with pseudonymous people in public like this. Hmm, I don’t know why WordPress hides my identitiy here (the pingback at the same time gives it away, though) – I sure didn’t ask it to. But then again your real name or e-mail address aren’t provided that readily here either, though a long chain of links eventually leads to http://casa.colorado.edu/~danforth/index.html – gotcha? Correct. Feel free to follow up with me via email.